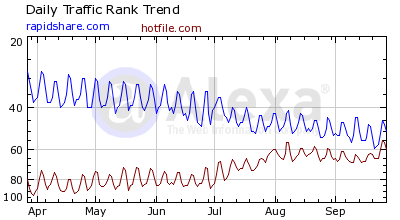 Rapidshare Undergoes Major Design Overhaul, Aims To Be A Social Network With New "Rapid Contact"
Rapidshare is trying hard to keep it's throne of being the leading one-click file-hoster, plagued by anti-piracy outfits pressure users are getting away to rival services like Hotfile.com as evident from this Alexa traffic comparison chart of past six-months. 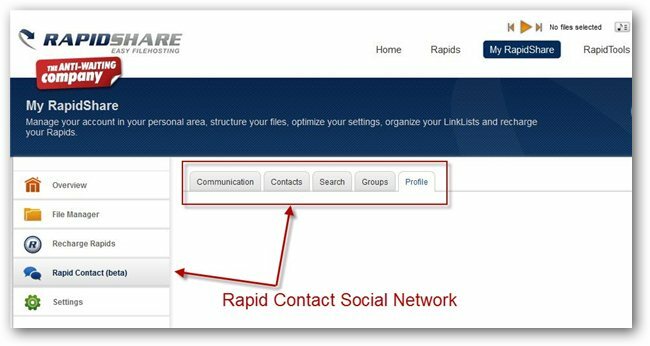 The company has now came up with a brand new site design, social-network and anti-wait strategy to win back users to Rapidshare. Read more about Rapidshare Undergoes Major Design Overhaul, Aims To Be A Social Network With New "Rapid Contact"
If your institution or ISP blocks access to Rapidshare, free Firefox addon "Download Rapidshare @ Office" can be the solution you are looking for, the handy little addon changes Rapidshare links (rs*.rapidshare.com) to IP's fooling the proxy server into allowing the access, you just need to paste all your Rapidshare links into the addon toolbar and it takes care of everything else including managing the wait-times restrictions, the whole process is fully automatic and very easy, you can also use this to download multiple files as a Rapidshare free user easily. Download Chrome - Google's Own Web Browser ! 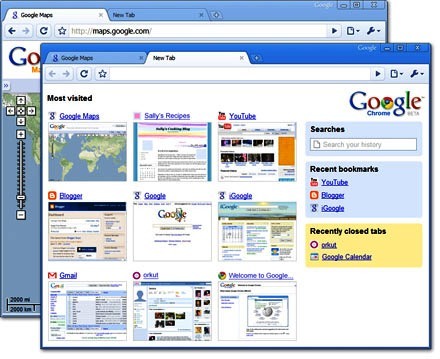 Google's rumored browser project "Google Chrome" is finally coming here, in an official blog post Google provided early details of their open-source browser, a beta version of which will be released in 100 countries today. Read more about Download Chrome - Google's Own Web Browser ! After annoying free users with hard to read CAT CAPTCHA's, World's biggest one click file-hoster Rapidshare has finally done farewell to CAPTCHA altogether, Rapidshare also announced that from now free users will be able to download without any waits until starting a succeeding download, however now free users will be restricted to a maximum speed of 500 kilobit per second. Premium users will also now have more flexibility regarding the download volume, now they are able to download a maximum of 10 gigabyte per day and can be "saved" now to a maximum of 50 Gigabyte. As a consequence, the volume that was not used is transferred to the following day automatically, up to a maximum of 50 gigabyte, Also, earlier Premium and Collector's Accounts were credited a RapidPoints when a file was downloaded by a Free User but From now, Premium Downloads can generate up to 255 additional RapidPoints per day. Those extra points will be displayed in the account overview in the Premium or Collector's Zone. UploadJockey is a free mass file-mirroring service, allowing users to upload files upto 100 MB to various file-sharing websites like rapidshare, badongo, sendspace, zshare, megaupload and depositfiles using a single upload.